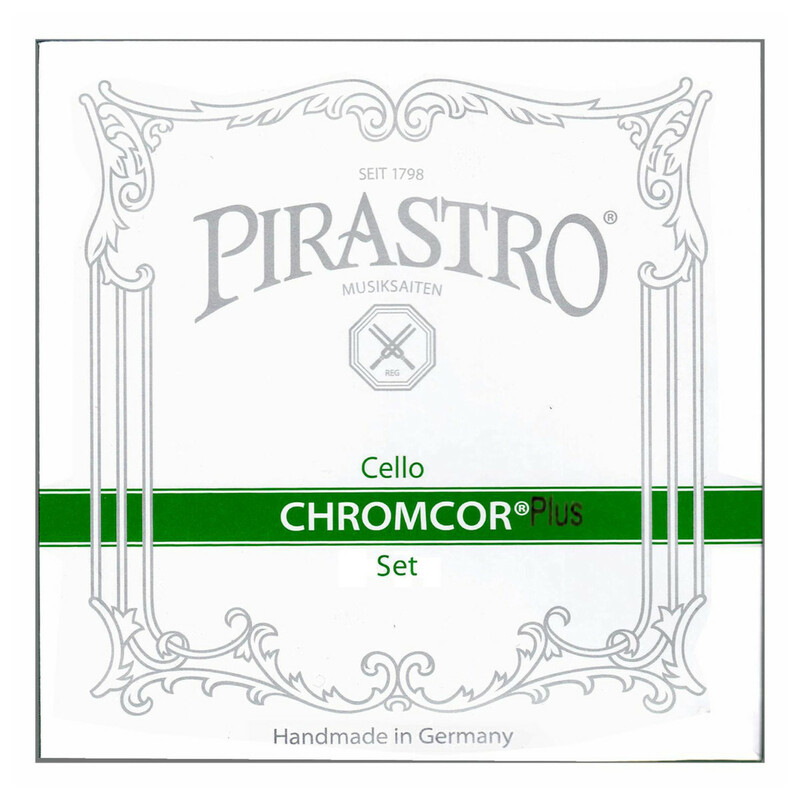 The Pirastro Chromcor Plus 339920 Cello String Set is ideal for musicians wanting a clear, focused sound. The single filament steel core produces a bright sound with clarity and strength. The C and G strings have slightly darker overtones that add more complexity to your overall sound. The chrome steel winding has easy playability, as well as producing additional brilliance. The response provides each note with immediate balance, a trait which is key for players developing their techniques. These strings all have ball tailpiece ends and are designed for full size cellos. 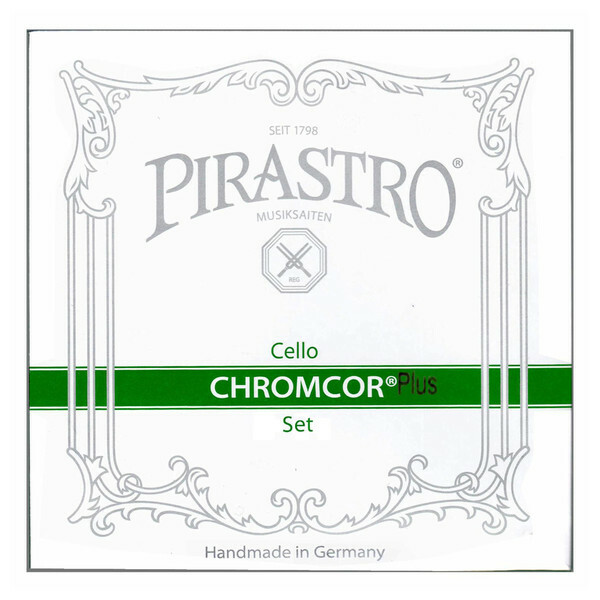 The Chromcor Plus series of cello strings are ideal for players wanting a solid tone whilst learning. The characteristics of steel strings make them easy to play and hear due to their immediate response and clarity. The medium tension offers consistent playing accuracy and tonal balance. The chrome steel winding has both increased tonal brilliance and durability. As well as clarity, the Plus series produces dark overtones that texture your sound. Once installed on your cello, the Chromcor strings have exceptional tuning stability and immediate playability, so you have your optimum tone all the time. The Chromcor Plus strings will be a suitable choice for developing students who want a layered resonance.